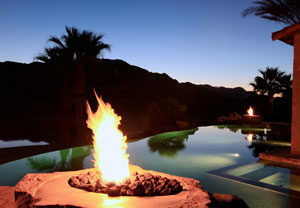 Every now and then, a backyard party around the pool is a welcome idea, especially during fair weather. One good thing about this is that you don’t have to spend a fortune before you can successfully organize and decorate your backyard for a party. Yet, it really does not require an expensive ordeal. Table: It does not matter if it is an old table or new one. Just cover the top with fabric cut-outs, allowing them to drape slightly to the sides of the table. Add a bouquet of flowers, preferably daisies. If making refreshing drinks from fruits, make sure they are in drink dispensing jars before placing them on the table. This will make it easier for the little ones to fill their own glasses. Chairs: The seating surfaces could be chairs, stools or benches. Whichever it is, bring them all out. If the surfaces are worn out, there are two things to do: either you give them a shiny spray or you cover them with attractive fabric pieces and cushions. If you use fabrics, you can match them to form a theme for the party. Meal Setting: There’s no need for formality, after all you just want to have fun with little or no distraction. Try a buffet-style meal that is relaxing and that has something for everyone. 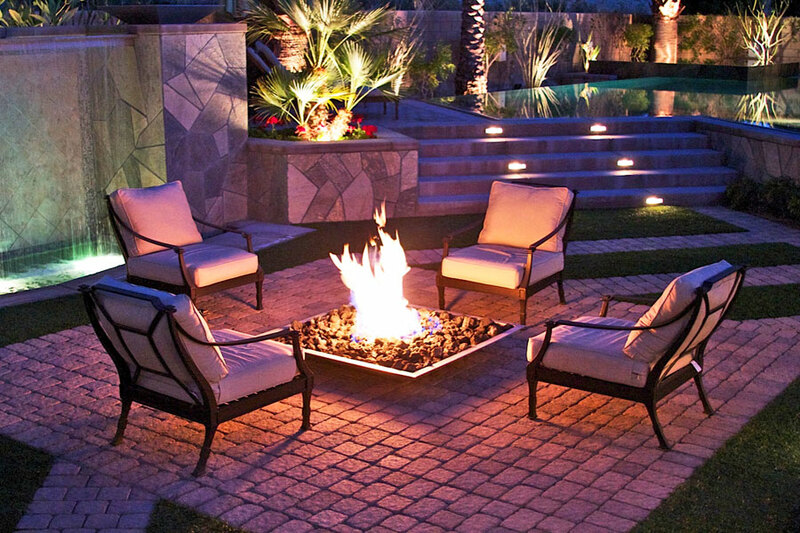 There is nothing like an outdoor meal with friends and family. 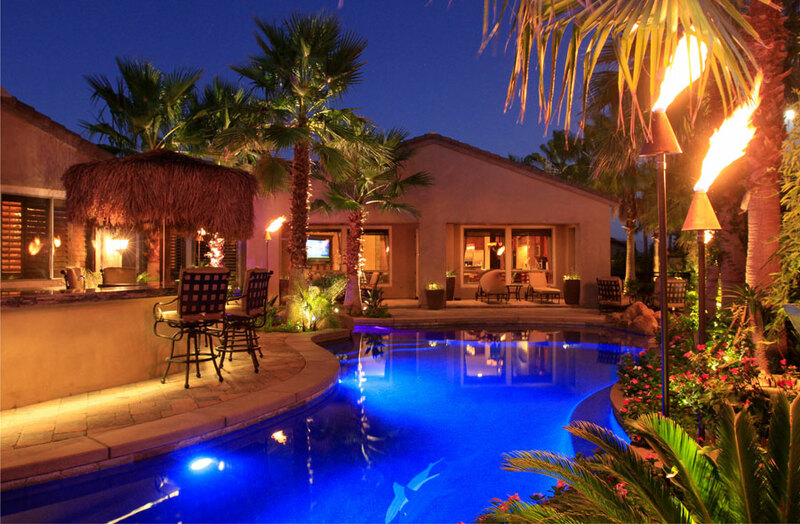 Your backyard party will even be more fun if you have a pool. 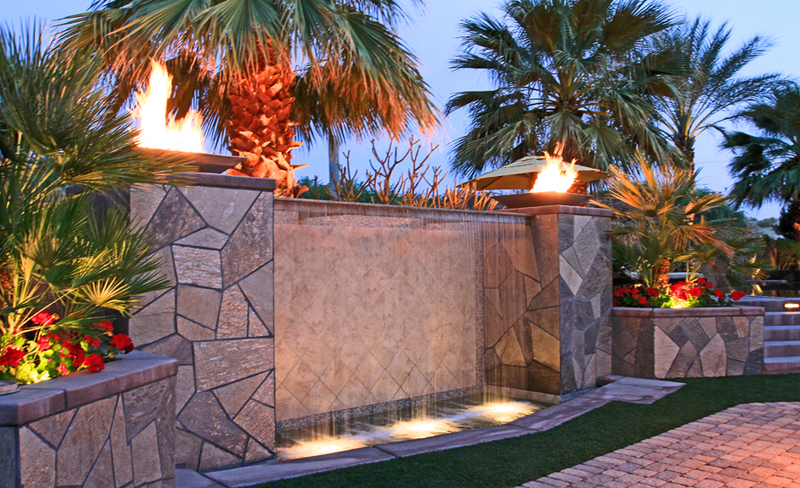 At Azure Pools & Spas we’ve brought to life a variety of dream pools and pool remodel projects that have permanent water features that ae simply delightful to look upon. 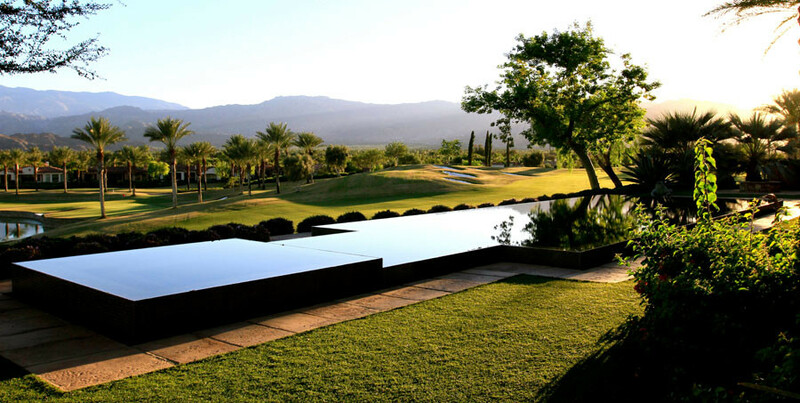 Azure Pools & Spas is a pool contractor that believes in enjoying the best of life with customized pools and spas. 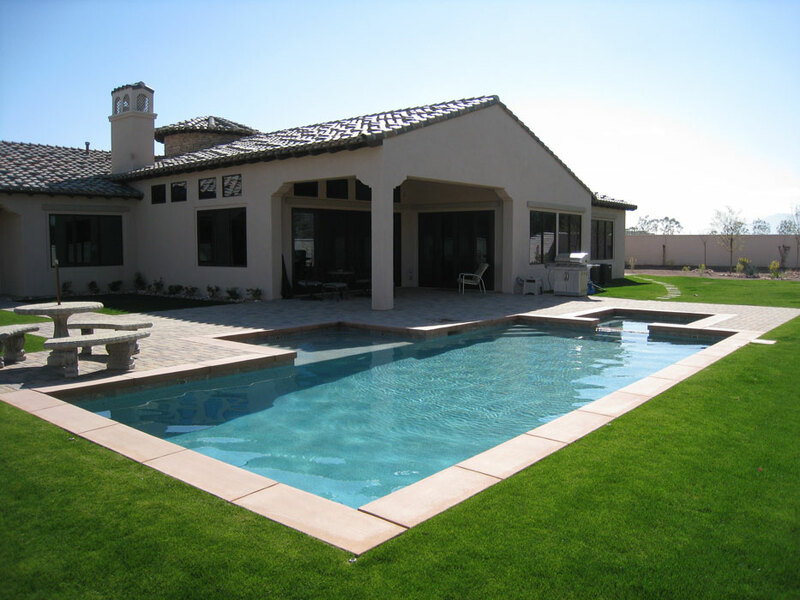 We offer professional workmanship of pool construction throughout Coachella Valley.